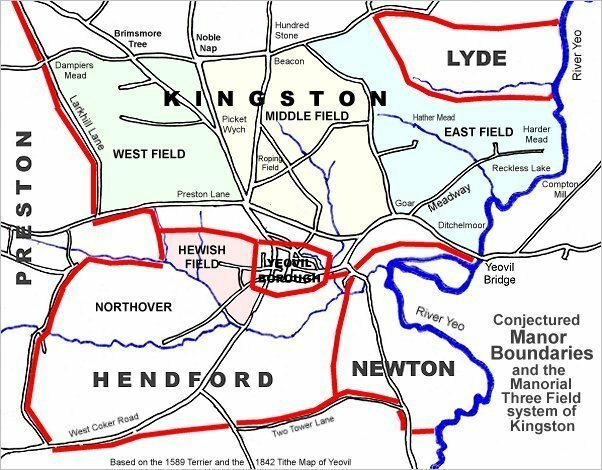 Harbin's Ground (Parcel 930) was a field within the great East Field of Kingston Manor. 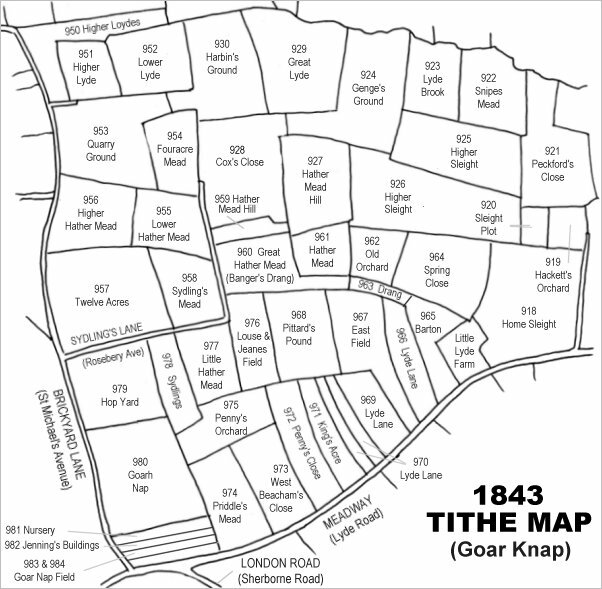 At the time of the 1846 Tithe Apportionment it was owned by Winsor Mereweather and let to Sarah Speake. It was used as pasture for grazing animals and measured 7a 0r 32p. 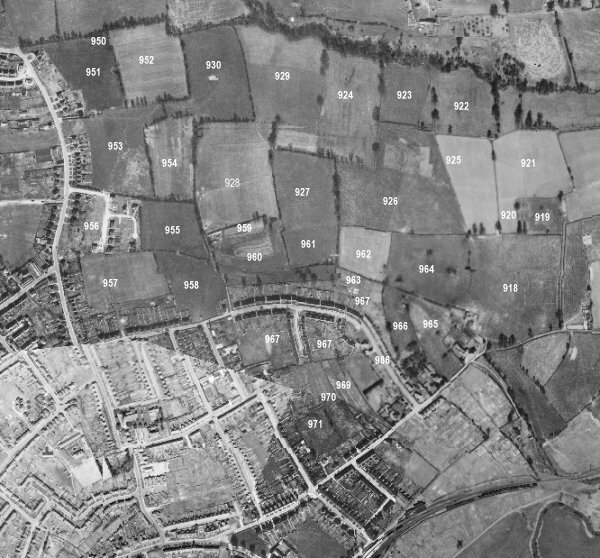 Harbin's Ground was bounded on the north by one of the two tributaries at the head of Lyde stream (now piped underground) and separating it from Lower Loydes (Parcel 931). 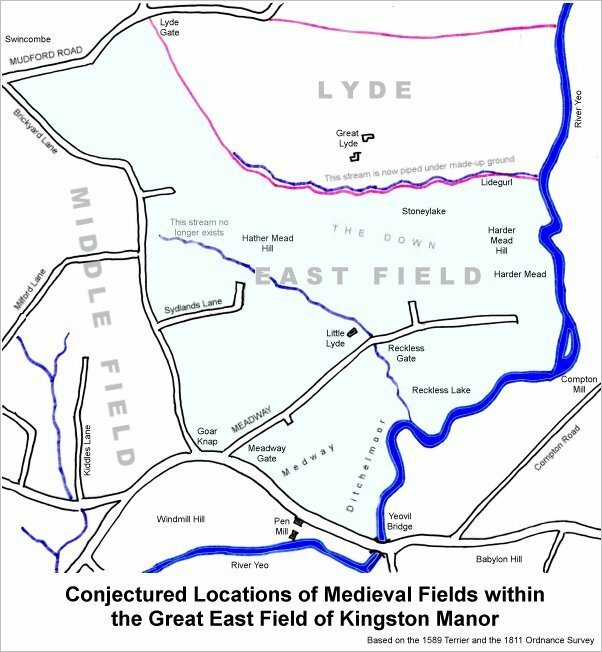 To the east lay Great Lyde (parcel 929), to the south was Fouracre Mead (Parcel 954) and Cox's Close (Parcel 928) and on the west was Lower Lyde (Parcel 952). At the time of the 1946 aerial photograph, seen below, Harbin's Ground remained an open field bounded on all sides by hedgerows. Today Harbin's Ground contains houses and gardens of the southern end of Birchfield Road and the approach to Birchfield Community Centre. 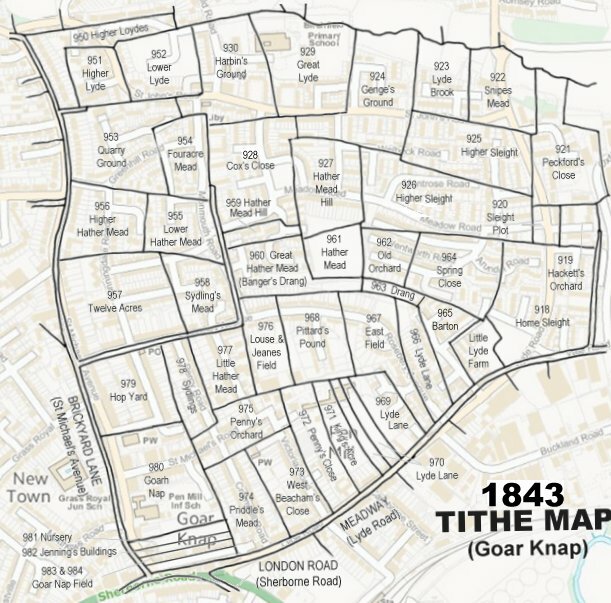 Drawn from the 1846 Tithe Map with field names added from the 1846 Tithe Apportionment, with Harbin's Ground at top, left of centre.